Recycling is important – that is a message that’s drilled into our heads from a very young age. However, it is sometimes hard to be motivated to recycle plastics such as water and soda bottles when you never see the use in that. Making your own recycling projects is a great way of repurposing those harmful plastics, thus saving the environment. It is also a fantastic way to learn about the value of recycling and giving materials a new life. 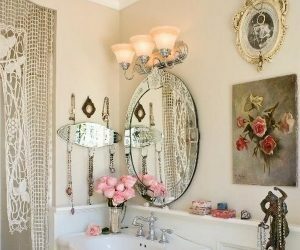 And if that wasn’t great enough already, through DIY recycling projects you can make new pieces which are handy and useful, thus saving you money. These crafts are usually unique, as it’s really unlikely that anyone will have made exactly the same piece as you. Need inspiration before you start hoarding soda bottles? These projects will leave you bursting with ideas, we can safely promise that. 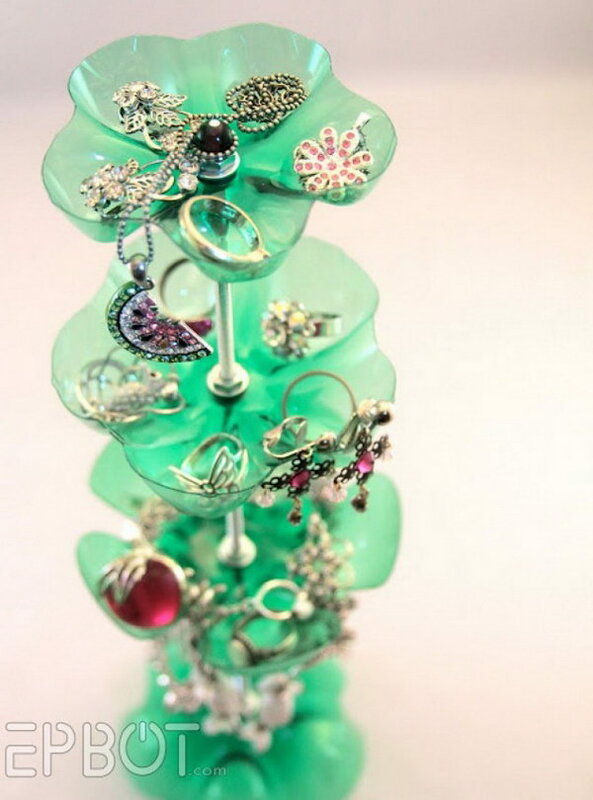 Jewelry stands are a great way to keep your accessories untangled, accessible and on display. However, they can also be quite expensive to buy, even the plastic ones. 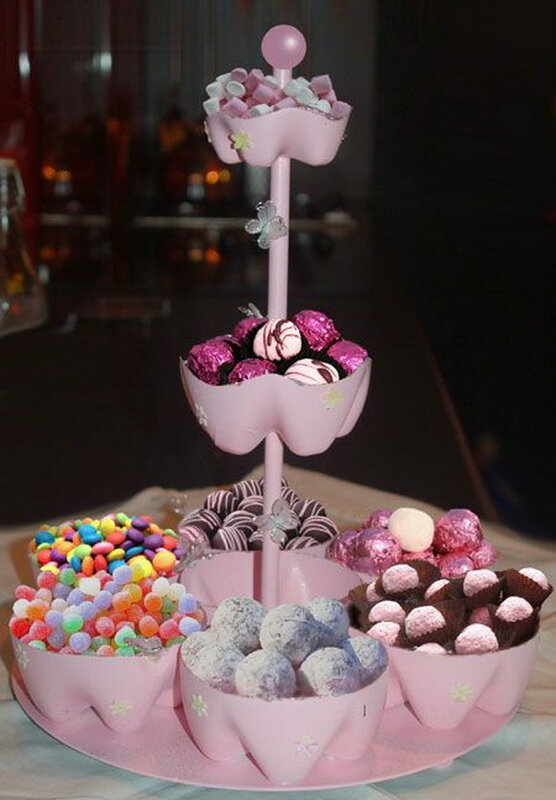 In this project you can easily make a beautiful, flower shaped stand using the bottoms of bottles and a tall metal rod. No one will know this wasn’t bought at a store. via epbot. Wasting water is almost as bad for the environment as not recycling plastic. 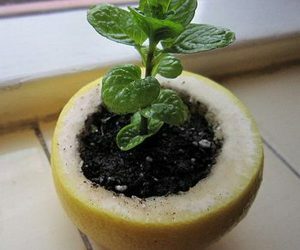 With this project, which is made from a cut-open and painted bottle, you can catch the drip from your tap and reuse it for plant watering, for instance. Do you happen to use a lot of plastic bags, drink a lot of soda and have tons of CDs you never listen to anymore around? 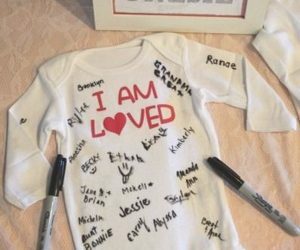 Then this project is one you will want to make. This holder and dispenser is just as good and functional as those you can get from the store, but it won’t cost you anymore money and it will actually help you get rid of clutter. via ourpeacefulplanet. These plastic containers/pouches are really cool to store toiletries, accessories and crafts supplies, as well as for travelling, and they are really easy to make with the bottoms of two bottles, a zipper and a glue gun. They look really cool and modern too, especially if you choose a fun colored zipper like in the example. via popsugar. Yarn is a really difficult thing to store without it getting messy. These holders made from the tops of plastic bottles make sure your yarn is well organized and easy to use when you need it, as it is dispensed from the neck of the bottle. 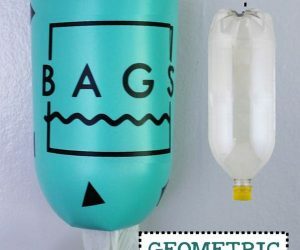 This a fantastic project to make if you have some big detergent bottles lying around, as they have the perfect size and shape to be turned into magazine holders like the ones you see in shops, libraries and such. It is a bit more complex than other projects, but it should still be easy enough and work phenomenally. via muyingenioso. 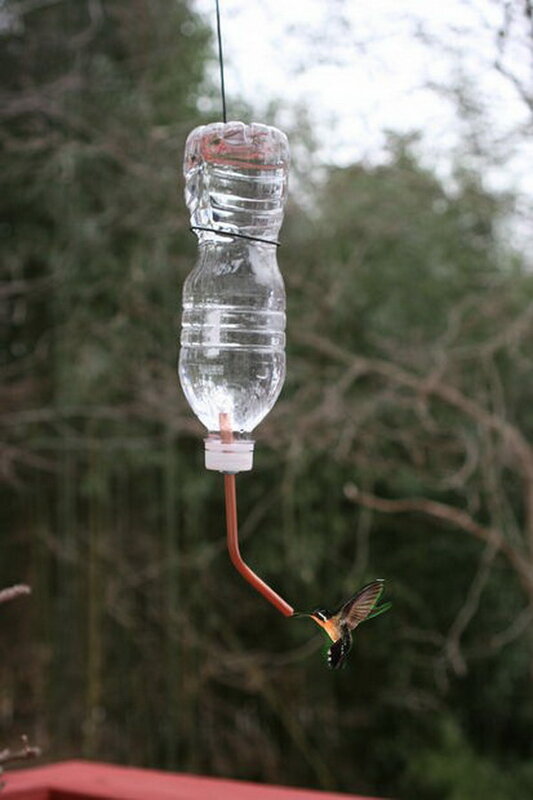 Now this hummingbird feeder is as easy as you can get with plastic bottle recycling projects, but it can make all the difference. The bottle itself is left pretty much intact, so all you do is add the copper tubing and caulk in order to create the feeding system. via instructables. This is more of a hack than a project really, but while it may seem silly at first, the truth is it really works. 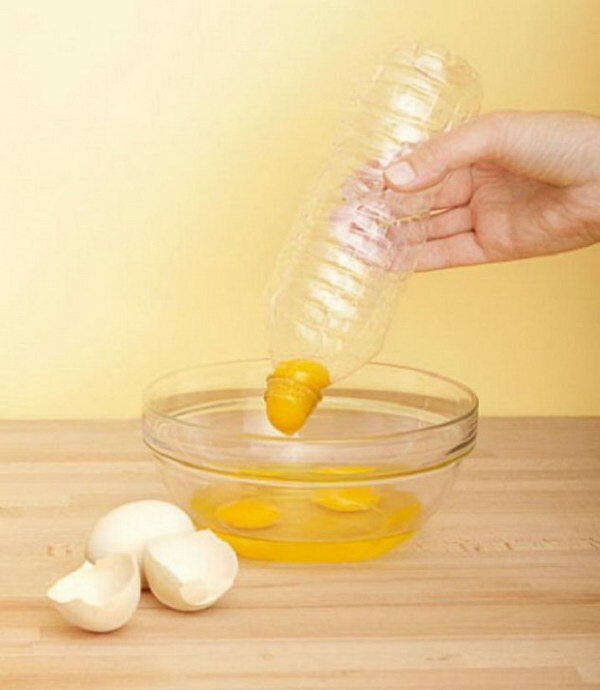 You can use an empty water bottle to separate egg yolks and whites by creating a vacuum and sucking the yolk in clean of the white and transfer it somewhere else easily. via ur.spoonuniversity. 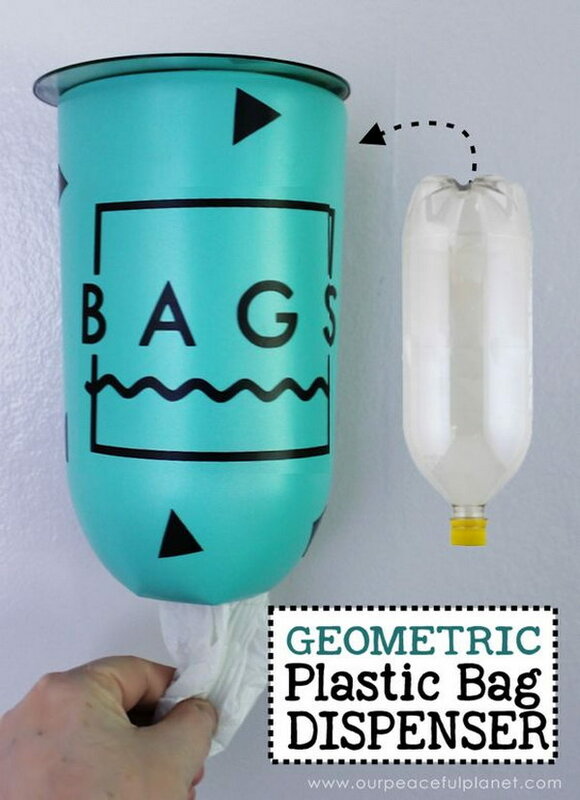 Here’s another truly simple and effective way of reusing a plastic bottle. 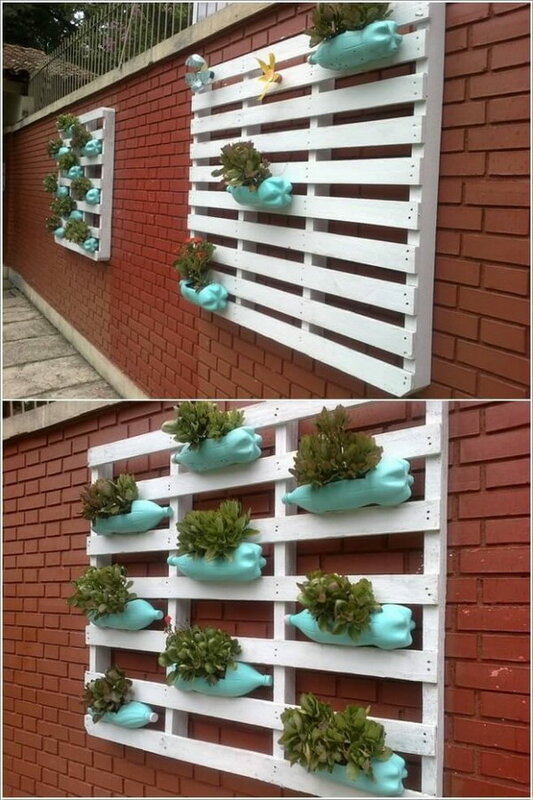 These were cut open horizontally to create planters which were then installed in a vertical garden. It’s quite a simple concept, but you can’t deny that they do look really good. via gatodesapato. This lamp made from a plastic bottle, Christmas lights and some paper looks really beautiful and impressive but it’s not overly difficult to make. It’s a fantastic decorative piece as well as gift. via muyingenioso. These plastic bottle piggy banks are some of the cutest things you can do with reused materials, and you can even have your kids help you decorate, if nothing else. 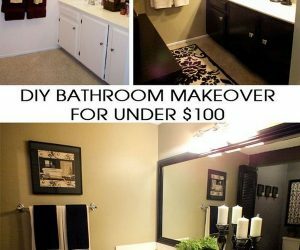 They have two great advantages compared to ceramic, store bought ones – they are cheaper, and they aren’t nearly as breakable. via instructables. 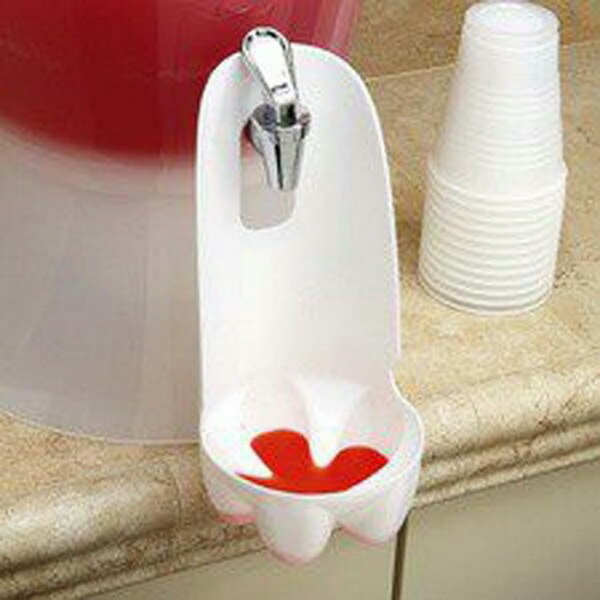 Now this is a creative way to use empty plastic bottles! Huddled together, they provide the base for this ottoman, so that all of you need to do is cover the structure with foam and paint it to match your room decor. Big water bottles are an obvious choice for when you need an improvised bucket. This isn’t just any bucket though, but it’s still pretty easy to make if you cut the top of the bottle off and add a nice, fun trim and some handles with fabric or ribbon. It will be a cool and inexpensive way to store smaller toys or childcare necessities. This project goes along the same vein as the previous one. 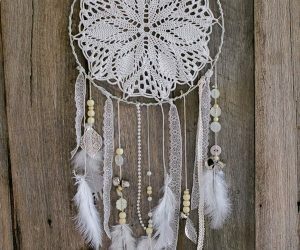 You will need to make a crochet piece for the top and handles and then attach it to a plastic bottle, which you can decorate by painting or gluing felt or fabric shapes. These containers are especially good for children’s things and to have in their rooms. via filthwizardry. 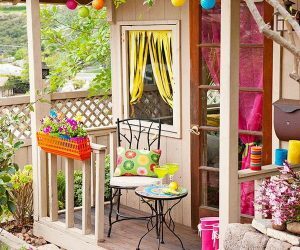 No one would have guessed this beautiful, candy colored stand was made from plastic bottles, yet it is. You will need the bottom ends of different sizes of bottles and a long, cute rod. 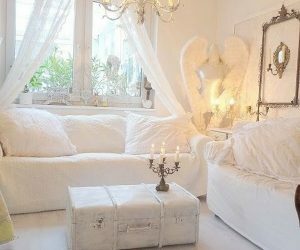 After mounting it, you will want to paint your creation in a pastel color to add the finishing touch. via instructables. 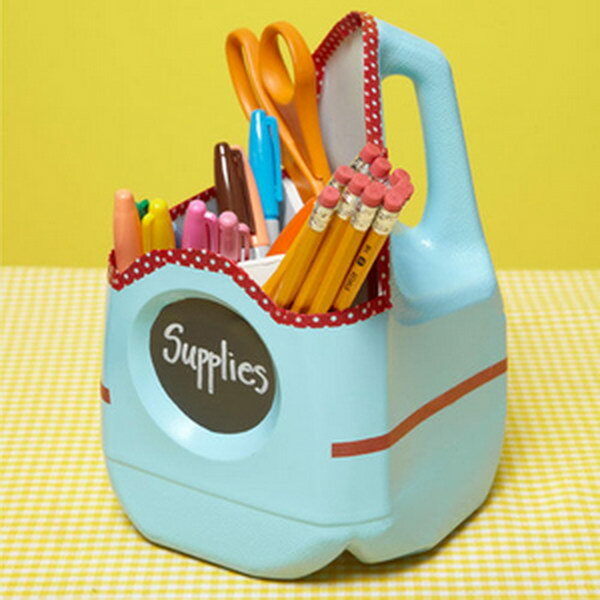 Who would have thought a jumbo milk jug would make a great supply holder? This blogger did. 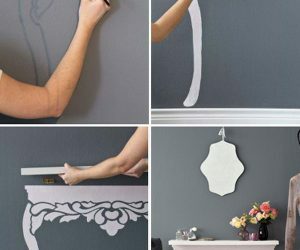 What you need to do is cut the top and part of the sides off, disguise the edges with tape, paint and decorate. It’s so easy a school-aged child could probably do it for themselves. via allyou. 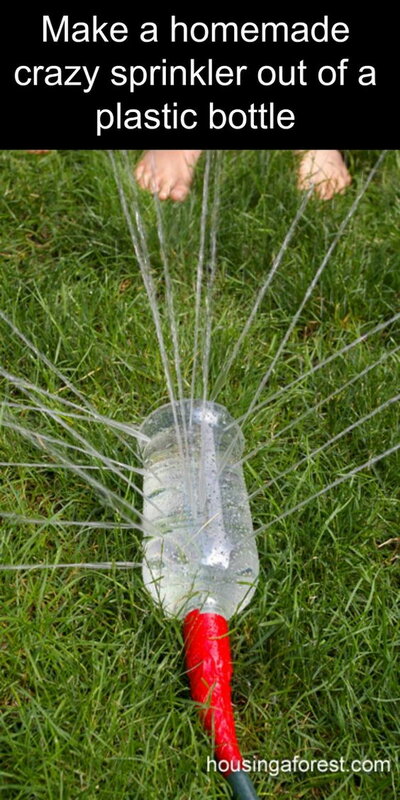 Need a sprinkler to help spread the irrigation water in your garden? This project is perfect for you then. All you need to do is find a water bottle with an opening that fits your hose – or make one if you need to – punch some holes in and install it. via housingafores. These coke bottle bird feeders aren’t the most straightforward of projects, but they are quite easy and fun to make, and they will actually provide a decorative touch wherever you place them once you’re finished, because they are quite pretty to look at. via creativecraftnights. 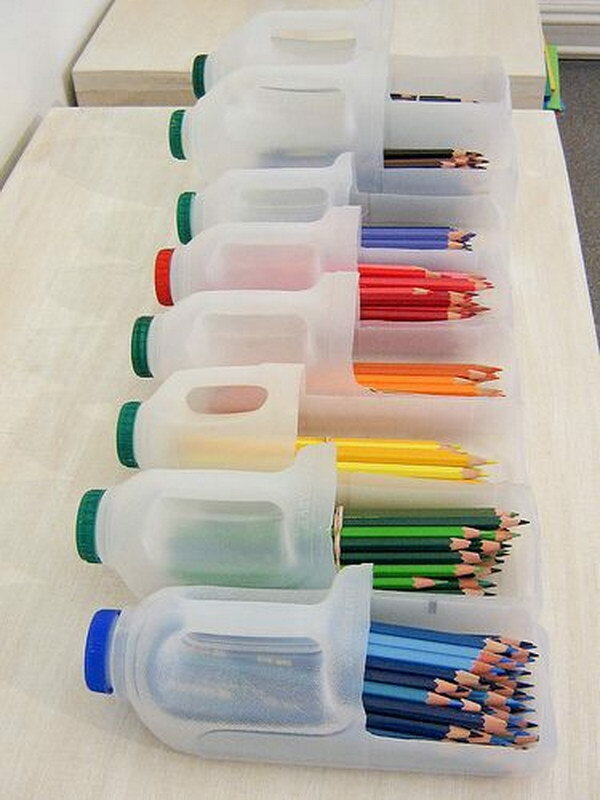 These milk jug pencil organizers are not only functional but also quite cute to look at because you see exactly what they are. 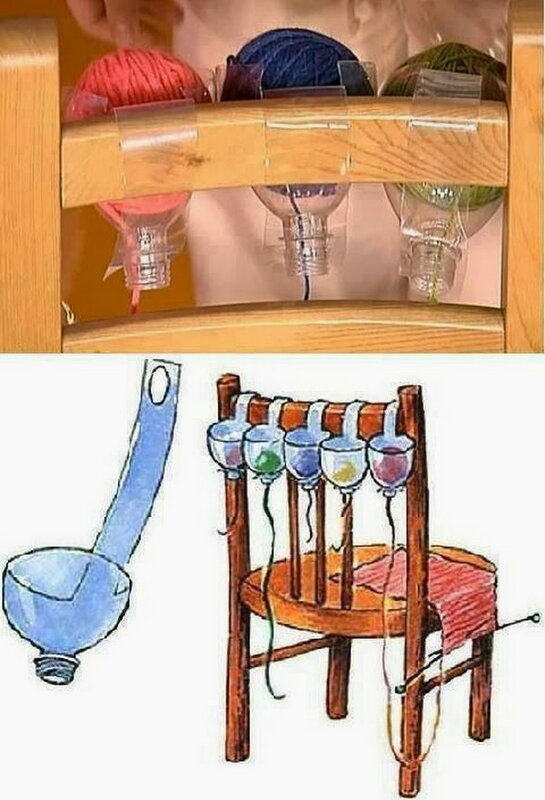 All you need to do is cut up a window for your pencils to go in and be seen and then you can also match the bottle cap to them, whether by choosing the colors or painting them specifically. Reuse before you recycle. This DIY will make your planters the cutest in the neighborhood as you turn them into hedgehogs, everyone’s favorite garden animal, using water bottles and some string. We can guarantee you won’t see another planter like this, and your recycling pile will also be much smaller. via dipfeed.